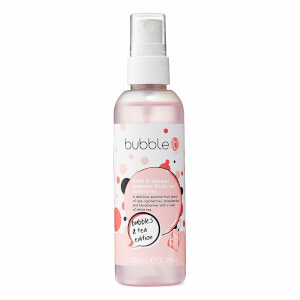 Revitalise your senses with Bubble T Summer Fruits Tea Body Spray. Perfect for travelling or carrying in your handbag or gym bag, the body spritz imparts a fresh, fruity fragrance that blends notes of ripe Raspberries, Strawberries and Blackberries with hints of White Tea and Goji Berry. Paraben, SLS, SLES and cruelty free. Spritz over the body as desired. Aqua (Water), Alcohol Denat., PEG-40 Hydrogenated Castor Oil, Parfum (Fragrance), DMDM Hydantoin, Lycium Chinense Fruit Extract, Propylene Glycol, Citric Acid, Alpha-Iso-Methylionone, Amyl Cinnamal, Benzyl Alcohol, Benzyl Benzoate, Benzyl Salicylate, Butylphenyl Methylpropional (Lilial), Citronellol, Geraniol, Hexyl Cinnamal, Limonene, Linalool. I purchased this body spray as both my daughters love wearing them, they are an inexpensive alternative to perfumes. My youngest daughter suffers with migraines occasionally which perfumes can aggravate, body sprays/spritzers don't fortunately. 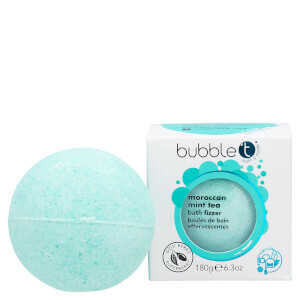 The scent reminds me of summer fruit sorbet, fruity and long lasting!